Home Famous Love story of Asin-Rahul: A fairy tale romance! Here’s how their Asin love story started, with Akshay Kumar as her Best man. Rahul sharma is an Indian businessman, founder of YV Televentures and co-founder of Micromax Informatics. Asin thought of him as just another friend of Akshay, until he told her that he will be a good life partner for her. She ignored this thinking it’s another prank on her. It was during the event when she got to know who Rahul Sharma Actually is and it was his jet that they traveled in and his event that they were going for. He was the man behind all of this and Asin love story. She was immediately impressed by Rahul’s down to earth nature and simplicity despite being a millionaire. On the other hand, what he liked about Asin was that she is a self-made woman. This conversation then shifted to phone calls and that’s when he realized that she is the one he wants to marry. Like a true gentleman, he told Asin that he wanted to meet her parents to ask her hand in marriage in the very first meet. Asin thought that they should know each other a bit more before rushing into things. And, that’s how the two started dating. She also said that her real life story is strangely similar to one of her movies “Ghajini”. Every girl wishes to have a romantic and fairy tale like proposal. That’s exactly what happened with her. He proposed to her in a way that she wouldn’t have imagined. He invited her to the presidential suite of a luxury hotel in Delhi where he had a treasure hunt for her. At the end of the treasure hunt, she saw him dressed in a kerela outfit on his knees with a ring in his hand. A 20-carat solitaire ring worth crores which had AR engraved on it. That’s not it, the best part of this was he proposed to her in Malayalam. That’s like the sweetest thing a guy has ever done, proposing to their love in their native language. That shows how much he loves her and cares for her. They both tied the knot 20 January 2016 in Delhi followed by a grand reception on January 23 in Mumbai. 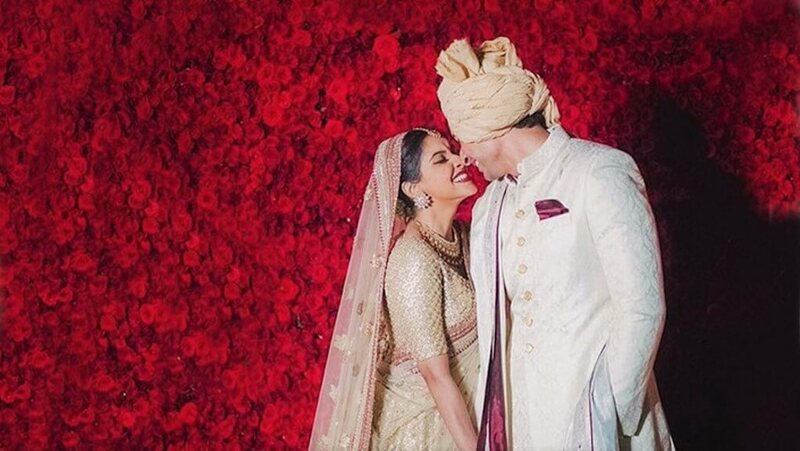 The rituals were in both Hindu and Christian way.A special wedding reception was organised by Rahul Sharma and Asin in Mumbai for their industry friends and Asin Love Story converted into marriage. The Couple went to New York for a month for their Honeymoon. On 24th October Asin gave birth to a baby girl.